The Sport Dimension v. Coleman case continues the Circuit's recognition of the significance of design patents, even as to functional features. Man Machine reminds the PTO that even under broadest reasonable interpretation, claim construction must be based on the claims and specification. Mankes remands the grant of judgment on the pleadings that was decided based on the law as it was prior to the latest en banc decision in Akamai. Sport Dimension's Body Glove® Model 325 accused personal flotation device is shown below. The accused personal flotation devices, like Coleman's design, have two armbands connected to a torso piece. But, unlike Coleman's design, the torso section in the Body Glove® device extends upwards to form a vest that goes over a person's shoulders. 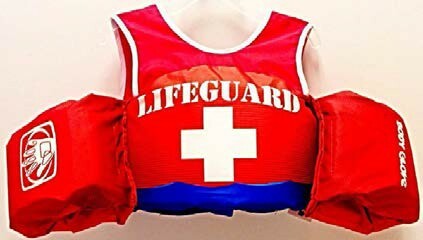 The ornamental design for a personal flotation device, as shown and described in Figures 1-8, except the left and right armband, and the side torso tapering, which are functional and not ornamental. In light of this order, Coleman moved for entry of judgment of noninfringement so that it could appeal the claim construction. Words cannot easily describe ornamental designs. A design patent's claim is thus often better represented by illustrations than a written claim construction. Egyptian Goddess, Inc. v. Swisa, Inc., 543 F.3d 665 (Fed. Cir. 2008) (en banc). Also, detailed verbal claim constructions increase "the risk of placing undue emphasis on particular features of the design and the risk that a finder of fact will focus on each individual described feature in the verbal description rather than on the design as a whole." Id. at 680. Even so, we have often blessed claim constructions where they helped the fact finder "distinguish between those features of the claimed design that are ornamental and those that are purely functional." Id. Of course, a design patent cannot claim a purely functional design—a design patent is invalid if its overall appearance is "dictated by" its function. But as long as the design is not primarily functional, the design claim is not invalid, even if certain elements are functional. That is because a design patent protects an article of manufacture, which necessarily serves a utilitarian purpose. A design may contain both functional and ornamental elements, even though the scope of a design patent must be limited to the ornamental aspects of the design. Where a design contains both functional and nonfunctional elements, the scope of the claim must be construed in order to identify the non-functional aspects of the design. In OddzOn Prods., Inc. v. Just Toys, Inc., 122 F.3d 1396 (Fed. Cir. 1997), Ethicon Endo-Surgery, 796 F.3d 1312 (Fed. Cir. 2015), and Richardson v. Stanley Works, Inc., 597 F.3d 1288 (Fed. Cir. 2010), we construed design patent claims so as to assist a finder of fact in distinguishing between functional and ornamental features. But in no case did we entirely eliminate a structural element from the claimed ornamental design, even though that element also served a functional purpose. The construction in this case conflicts with that principle of design patent claim construction because it eliminates whole aspects of the claimed design. In its construction, the court improperly excluded the left and right armband and the torso side tapering. The court explained that the armbands and tapered torso "serve a functional rather than ornamental purpose," and excluded them from the claim scope. Coleman disputes the court's ultimate construction and its finding that the armbands and tapered torso are functional. While we agree with Coleman that the court's ultimate construction was improper under our law, we disagree with Coleman's assertion that the armbands and side torso tapering do not serve a functional purpose. As the district court correctly pointed out, Coleman's armbands and tapered side torso designs meet several of the factors we announced in PHG Technologies, LLC v. St. John Cos., for determining whether a design claim was dictated by function, including: "whether the protected design represents the best design; whether alternative designs would adversely affect the utility of the specified article; whether there are any concomitant utility patents; whether the advertising touts particular features of the design as having specific utility; and whether there are any elements in the design or an overall appearance clearly not dictated by function." 469 F.3d 1361 (Fed. Cir. 2006). Although we introduced these factors to assist courts in determining whether a claimed design was dictated by function and thus invalid, they may serve as a useful guide for claim construction functionality as well. 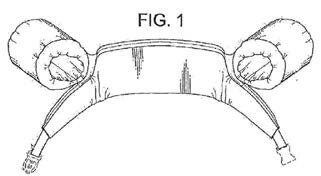 Applied here, the PHG factors indicate that the design patent's armbands and side torso tapering serve a functional purpose. 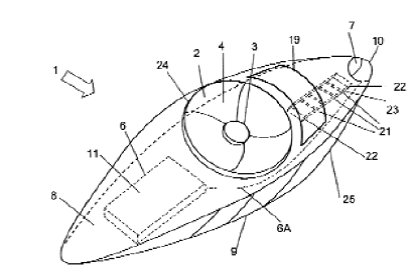 For example, the district court examined alternative personal flotation device designs and concluded that Coleman's armband and torso tapering represented the best available design for a personal flotation device. The court found that Coleman filed a co-pending utility patent disclosing the design patent's armbands and torso tapering and touting the utility of those features. And it found Coleman to have promoted the particular utility of the armbands and tapered torso in its advertisements. We do not disagree with these findings. Nor do we disagree with the district court's conclusion that the armbands and tapered side torso serve a functional purpose. Nonetheless, even though we agree that certain elements of Coleman's design serve a useful purpose, we reject the court's ultimate claim construction, which eliminated the armbands and side torso tapering from the claim entirely, so its construction runs contrary to our law. Here, as in Ethicon, "the district court's construction of the Design Patents to have no scope whatsoever fails to account for the particular ornamentation of the claimed design and departs from our established legal framework for interpreting design patent claims." Moreover, design patents protect the overall ornamentation of a design, not an aggregation of separable elements.Richardson (noting that "discounting of functional elements must not convert the overall infringement test to an element-by-element comparison"). By eliminating structural elements from the claim, the district court improperly converted the claim scope of the design patent from one that covers the overall ornamentation to one that covers individual elements. Here, the district court erred by completely removing the armbands and side torso tapering from its construction. We thus look to the overall design of Coleman's personal flotation device to determine the proper claim construction. The design includes the appearance of three interconnected rectangles, as seen in Figure 2. It is minimalist, with little ornamentation. The design includes the shape of the armbands and side torso tapering, to the extent that they contribute to the overall ornamentation of the design. But the armbands and side torso tapering serve a functional purpose, so the fact finder should not focus on the particular designs of these elements when determining infringement, but rather focus on what these elements contribute to the design's overall ornamentation. Because of the design's many functional elements and its minimal ornamentation, the overall claim scope of the claim is accordingly narrow. See Ethicon Endo-Surgery (endorsing a "limited" claim scope for a design with functional elements). We therefore reject the district court's claim construction, vacate the stipulated judgment of noninfringement, and remand for consideration of infringement and, if necessary, validity consistent with the proper claim construction. In turn, nothing in this opinion should foreclose any pre-trial resolution of the infringement issue that is otherwise substantively and procedurally appropriate. Coleman also challenges the district court's exclusion of its expert, Peter Bressler. District court judges perform a gatekeeping role for expert testimony. They must ensure that expert testimony is reliable and that the testimony relates to scientific, technical or other specialized knowledge, which does not include unsubstantiated speculation and subjective beliefs. The district court here excluded Mr. Bressler, an industrial design consultant with four decades of industry experience, because he had "no experience in the field of personal flotation devices." In light of his admitted unfamiliarity with the very subject on which Coleman sought to rely on his testimony, the court did not abuse its discretion in excluding his testimony. Man Machine's '614 patent is directed to a remote control device for making selections on television or computer screens. Claim 1 recites that the body of the device be "adapted to be held by the human hand," and a multi-function "thumb switch [that is] adapted for activation by a human thumb." The thumb switch, which controls cursor movement and object selection on the screen, includes an annular switch (4) including four switches that surround a center switch (3), as shown below in Figure 2A. A third party requested ex parte reexamination, which the PTO granted. The examiner rejected the claims as anticipated and obvious, relying primarily on a Japanese '634 patent, which discloses a deskbound mouse and a "cursor locking key" surrounded by four "cursor moving keys" operable by a user's finger to control cursor movement on a screen. The examiner construed the claim term "adapted to be held by the human hand" in the '614 patent broadly to include various "forms of grasp or grasping by a user's hand," such as the grasping of the mouse disclosed in JP '634. The examiner similarly interpreted the claim term "thumb switch" broadly, as "merely requiring that a switch be capable of being enabled/activated by a thumb but not precluding another digit, i.e. index finger." Based on this broad claim interpretation, the examiner rejected claim 1 as anticipated by JP '634 and other claims as obvious by JP '634 in combination with one or more secondary references. Man Machine appealed to the Board, which affirmed the examiner's rejections. The Board emphasized that "Appellant has not cited to a definition of 'a body adapted to be held by the human hand' or 'thumb switch' in the specification that would preclude the Examiner's broader reading." In this case, "because the intrinsic record fully determines the proper construction, we review the Board's claim constructions de novo." Microsoft Corp. v. Proxyconn, Inc., 789 F.3d 1292 (Fed. Cir. 2015). In reexamination, claims are given their broadest reasonable interpretation ("BRI"). "While the Board must give the terms their broadest reasonable construction, the construction cannot be divorced from the specification and the record evidence." In re NTP, Inc., 654 F.3d 1279 (Fed. Cir. 2011). We have noted that the phrase "adapted to" generally means "made to" or "designed to" though it can also be used more broadly to mean "capable of" or "suitable for." Here, "adapted to," as used in the patent, has the narrower meaning, viz., that the claimed remote control device is designed to be held in the human hand and the thumb switch is made or designed for activation by a human thumb. The '614 specification describes how the body of the remote control device is preferably elongated and rounded to be held in the hand. It further describes how the hand "with the help of palm and its fingers grips the remote control device body." The specification also discusses that "the index finger switch is positioned on the opposite side of the thumb switch, to naturally align with the index finger position when the remote control device is held in the hand." Moreover, the specification expressly distinguishes the remote control device from a desk-bound device like the one disclosed in JP '634. The BRI of a claim term cannot be so broad as to include a configuration expressly disclaimed in the specification. Based on the language in the specification, we reject the Board's unreasonably broad construction and construe "adapted to be held by the human hand" to mean "designed or made to be held by the human hand." The proper understanding of "adapted to be held by the human hand" would not include gripping a desk-bound device such as, for example, the desk-bound mouse disclosed in JP '634. Similarly, we reject the Board's overly broad construction of "thumb switch being adapted for activation by the human thumb." Claim 1 expressly requires a thumb switch, not a finger switch; the Board's construction ignores the term "thumb" in "thumb switch." And the claim goes on to further require that the thumb switch be "adapted for activation by a human thumb." The Board also erred by not interpreting "thumb switch" in light of the specification. This court's cases on BRI make clear that the proper BRI construction is not just the broadest construction, but rather the broadest reasonable construction in light of the specification. Proxyconn ("A construction that is unreasonably broad and which does not reasonably reflect the plain language and disclosure will not pass muster."). Here, the summary states that the thumb switch is a "slightly bigger than thumb size circle or oval that is contoured to the contours of a thumb." The specification repeatedly refers to the multi-function switch as a "thumb switch." And the specification repeatedly refers to pressure applied to the thumb switch as "thumb pressure." Activation of the switch by another finger is simply not contemplated by the '614 patent's written description. Thus we reject the Board's unreasonable construction, instead construing "thumb switch being adapted for activation by a human thumb" in view of the specification to mean "thumb switch being made or designed for activation by a human thumb." A patent is invalid for anticipation under 35 U.S.C. § 102 if a single prior art reference discloses each and every limitation of the claimed invention. JP '634, teaching a desk-bound device with a switch activated by a user's palm or finger, does not disclose the properly construed claim limitations "adapted to be held by the human hand" and "thumb switch being adapted for activation by a human thumb." We thus reverse the Board's finding that JP '634 anticipates claim 1 of Man Machine's '614 patent. The examiner also rejected the claims as obvious over JP '634 in combination with Florin, which discloses a remote control body that is held by a human user. Florin also teaches a center button activated by a human thumb. While Florin's thumb switch may not include the claimed "annular switch including only four switches and the cover plate covering the four switches," JP '634 discloses an annular switch made of four switches covered by a cover plate that controls cursor movement. The examiner relied on evidence from the request for reexamination showing a motivation to combine Florin and JP '634: "In the same field of endeavor of interactive cursor controls, the combination of JP '634 with Florin is no more than a known base system (Florin) combined with a known improvement." Obviousness is a question of law based on underlying factual findings that are reviewed for substantial evidence, including what a reference teaches and whether there would have been sufficient motivation to combine the prior art. Even under the proper, narrower construction of "adapted to be held by the human hand" and "thumb switch adapted for activation by a human thumb," substantial evidence supports the Board's factual findings underlying its obviousness determination. Based on these factual findings, we agree that claims 1, 4, 8, and 10 would have been obvious over the combination of Florin and JP '634. Mankes sued Vivid and Fandango, alleging that their operation of Internet-based reservation systems, in conjunction with the operation of local reservation systems by movie theaters and other entertainment venues, infringes his '503 patent directed to methods for managing a reservation system that divides inventory between a local server and a remote Internet server. Because it is undisputed that no one person performs all of the steps of the method claims, Mr. Mankes's case depends on establishing what has been called "divided infringement." When Mr. Mankes filed his complaints, the law relating to divided infringement was in the midst of a multiyear process of active judicial reconsideration, including by this court sitting en banc and by the Supreme Court. This court had granted en banc review to address the standards for direct-infringement liability for divided infringement but, in its decision, had left existing direct infringement standards in place without reconsidering them, while providing an independent inducement basis for divided-infringement liability. Akamai Techs., Inc. v. Limelight Networks, Inc., 692 F.3d 1301 (Fed. Cir. 2012) (en banc) (Akamai II). By mid-2014, however, the Supreme Court had reversed Akamai II, held that divided infringement liability of the sort at issue here requires some person to be liable for direct infringement under 35 U.S.C. § 271(a), and remanded for possible reconsideration of direct-infringement standards by this court. Limelight Networks, Inc. v. Akamai Techs., Inc., 134 S. Ct. 2111 (2014) (Limelight). In early 2015, the district court in the present cases, applying the law on direct-infringement liability as it then stood, concluded that Mr. Mankes's allegations are insufficient to establish direct infringement under § 271(a), and on that basis the court granted judgments on the pleadings for Vivid Seats and Fandango. When Vivid Seats thereafter sought attorney's fees against Mr. Mankes under 35 U.S.C. § 285, the court denied the request, finding the case not to be exceptional, a prerequisite to a fee award under § 285. Mr. Mankes has appealed the merits judgments against him, and Vivid Seats has appealed the denial of fees. During the briefing on the merits appeal here, the legal standards applied by the district court were first reinforced, then revised, by further decisions of this court in the Akamai-Limelight case. In Akamai Technologies, Inc. v. Limelight Networks, Inc., 786 F.3d 899 (Fed. Cir. 2015) (Akamai III), a panel of this court, on remand from the Supreme Court, rejected direct-infringement liability for Limelight—as had the initial panel in the case in 2010, Akamai Techs., Inc. v. Limelight Networks, Inc., 629 F.3d 1311 (Fed. Cir. 2010) (Akamai I), and the en banc court in 2012, Akamai II. The Akamai III panel reasoned that Limelight did not direct or control its customers' performance of claim steps, that its customers were not agents for Limelight, and that Limelight and its customers did not together constitute a joint enterprise (whose members can be charged with each other's acts in the enterprise). Three months later, however, the en banc court vacated Akamai III and decided Akamai Technologies, Inc. v. Limelight Networks, Inc., 797 F.3d 1020 (Fed. Cir. 2015) (en banc) (Akamai IV), cert. denied, 2016 WL 442440 (U.S. Apr. 18, 2016). The en banc court changed the result in the Akamai-Limelight case, now ruling against Limelight and for Akamai. The court did so by broadening the circumstances in which others' acts may be attributed to an accused infringer to support direct infringement liability for divided infringement, relaxing the tighter constraints on such attribution reflected in our earlier precedents and in the three previous rulings for Limelight on direct infringement. See Muniauction, Inc. v. Thomson Corp., 532 F.3d 1318 (Fed. Cir. 2008); and BMC Res., Inc. v. Paymentech, L.P., 498 F.3d 1373 (Fed. Cir. 2007). The en banc court concluded that attribution is proper in a joint-enterprise setting, and it also articulated a standard that permits liability "when an alleged infringer conditions participation in an activity or receipt of a benefit upon performance of a step or steps of a patented method and establishes the manner or timing of that performance." Akamai IV. The court added: "In the future, other factual scenarios may arise which warrant attributing others' performance of method steps to a single actor. Going forward, principles of attribution are to be considered in the context of the particular facts presented." And the court stated: "To the extent our prior cases formed the predicate for [Akamai III], those decisions are also overruled." We need not say how much broadening occurred in Akamai IV. In the present cases, the district court's rulings and the arguments of Fandango and Vivid Seats to the district court were squarely based on the earlier, narrower standard. We vacate the judgments on the pleadings against Mr. Mankes and remand for further proceedings in light of Akamai IV. We affirm the denial of attorney's fees to Vivid Seats. Not only is Vivid Seats no longer a prevailing party (given our vacatur of the judgment in its favor), but we readily conclude that the district court did not abuse its discretion in deeming the case not to be exceptional even under the state of the law before Akamai IV. Mr. Mankes rested his case on reasonable arguments for adjustment of legal standards that this court had already granted en banc review to consider inAkamai II and that remained in play, as indicated by Akamai II's postponing reconsideration of those standards, by Limelight's remand, and, ultimately, by Akamai IV's adoption of broadened standards. In these circumstances, the district court did not err in refusing to deem unreasonable Mr. Mankes's pursuit of this case to date. In these cases, filed in October 2013, Mr. Mankes has alleged that Vivid Seats and Fandango infringe the '503 patent by operating Internet-based reservation systems for reserving, buying, and selling tickets to movies, sporting events, and concerts. He has admitted that Vivid Seats and Fandango do not themselves perform every step of the claims. He has urged a finding of divided infringement, however, on the asserted ground that local entertainment venues perform the remaining steps. When these suits began, divided-infringement law was in flux, as reflected in the developments in the case brought by Akamai against Limelight. In 2010, a panel of this court had held that Limelight could not be held liable for direct infringement, applying Muniauction and BMC. Akamai I. But in 2011, this court granted en banc review. Akamai Techs., Inc. v. Limelight Networks, Inc. In the 2012 en banc decision, Akamai II, the court left the rejection of direct infringement in place without revisiting existing standards, but held that inducement under § 271(b) might be established even if no person could be held liable for direct infringement. That was the state of the law in 2013 when Mr. Mankes brought these suits. The Supreme Court, however, had already invited the Solicitor General to express the views of the United States on Limelight's certiorari petition seeking review of Akamai II. When the Supreme Court granted certiorari, the parties in the present cases, recognizing that the Court might alter the legal landscape, asked the district court for a stay of proceedings, and the court obliged. Then, in June 2014, the Supreme Court decided Limelight, eliminating the independent inducement option and remanding with the observation that "the Federal Circuit will have the opportunity to revisit the § 271(a) question if it so chooses." After that decision, the district court in the present cases put off deciding whether to lift the stays until this court, on remand from the Supreme Court in the Akamai-Limelight case, decided whether once again to hear the matter en banc (a process necessary to change preexisting direct-infringement law) or to refer the matter back to a panel. Once this court chose the panel-decision route, the district court in the present cases lifted the stays and allowed Vivid Seats and Fandango to file substantive motions on infringement. Vivid Seats and Fandango moved for judgment on the pleadings, arguing that they could not be liable for direct infringement because, based on the prevailing standard, Mr. Mankes had not alleged enough to attribute the ticket sellers' actions to them. In his responses, Mr. Mankes noted the various changes in the state of the law, and he continued to argue for changing the law on divided infringement. In February 2015, in two materially similar opinions, the district court granted the defendants' motions—addressing the merits of both direct infringement and inducement. The court relied on the prevailing divided-infringement law and found that Mr. Mankes had not "alleged facts permitting the inference that defendants direct or control the theaters in their actions." The court entered final judgment for Vivid Seats and, after Fandango dismissed its counterclaims without prejudice, entered final judgment for Fandango. After the district court granted judgment on the pleadings, Vivid Seats filed a motion requesting attorney's fees under 35 U.S.C. § 285. On June 30, 2015, the district court, considering all of the circumstances, found the case not exceptional and therefore denied Vivid Seats' motion. Meanwhile, on May 13, 2015, before Mr. Mankes filed his opening brief in his (consolidated) appeals from the merits judgments, a panel of this court decided Akamai III, applying a divided-infringement standard sufficiently limiting that, as in Akamai I and Akamai II, the court held Limelight to be entitled to judgment of no direct infringement as a matter of law. Akamai III. In August 2015, however, before briefing was completed, the en banc court vacated that opinion, and decided the case anew in Akamai IV. In that decision, the court ruled against Limelight, reversing the district court judgment in its favor and holding it liable for direct infringement based on the articulation of the broadened liability standards quoted above. Those standards now apply on this appeal. Mr. Mankes has alleged that each step of claim 1 is performed by some entity. Some steps, i.e., (b), (e)–(g), (j), involve operating an online system for selling tickets and communicating sales to the inventory holder; Mr. Mankes has alleged that Vivid Seats and Fandango perform those steps. The remaining steps, i.e., (a), (c)–(d), (h)–(i), involve maintaining an inventory of tickets and updating the amounts in response to local and Internet sales; Mr. Mankes has alleged that local venues perform those steps. In the district court, there was no serious dispute that Mr. Mankes has sufficiently alleged in each case that the identified entities—the defendant Internet entity and the associated local venues—together perform all steps and deal with each other in making the reservation systems work. The dispute was over whether Mr. Mankes has alleged sufficient facts to justify attributing the local venues' actions to Vivid Seats and Fandango under the then-governing standards for such attribution. And the district court held, in agreement with Vivid Seats and Fandango, that Mr. Mankes has not done so because he has not alleged that the local venues either are the defendants' agents or are required by the defendants to take the particular actions that constitute performance of several of the claimed steps. Although Mr. Mankes noted at oral argument that his claim could not survive under the direct-infringement standards pre-dating Akamai IV (as Akamai's direct infringement claim did not survive under those standards), those are no longer the governing standards. Under Akamai IV, the district court's analysis is now insufficient to support rejection of direct-infringement liability here. This court in Akamai IV articulated circumstances warranting attribution not previously enumerated in such terms, and it changed an Akamai loss into a Limelight loss on direct infringement on that basis ("an alleged infringer conditions participation in an activity or receipt of a benefit upon performance of a step or steps of a patented method and establishes the manner or timing of that performance"). Akamai IV also is explicit that "other factual scenarios may arise which warrant attributing others' performance of method steps to a single actor," to be assessed "in the context of the particular facts presented." In those ways, Akamai IV makes clear that it does not suffice to reject direct-infringement liability here to conclude that local venues are not agents of defendants and are not required by the defendants to take the claim steps that they perform. When the governing legal standards have changed during an appeal, it may be appropriate to vacate a determination made under superseded standards and to remand for consideration under the new standards. In the present case, such a disposition is appropriate. We do not ourselves rule on whether the allegations Mr. Mankes has already made might be interpreted to justify attribution under Akamai IV, or what additional factual allegations might do so. Nor are we prepared to find that the record here makes clear that the judgments under review are correct under the newly articulated standards regardless of what facts might now be forthcoming with those standards in mind. Mr. Mankes has already alleged that Vivid Seats and Fandango market their reservation systems to local venues and offer them financial incentives "to perform . . . the other steps of the claimed invention by having the Sellers use the Vivid Seats [and Fandango] reservation system[s]," and that local venues' decisions to use the Vivid Seats or Fandango systems initiate commercial arrangements involving continuing communications about sales of tickets to permit the sellers to update their inventories. For such an ongoing interactive commercial relationship, it is plausible that Vivid Seats and Fandango establish rules governing the needed coordination. Given what he already has alleged, Mr. Mankes should have the opportunity to allege facts that allow for a more informed evaluation than is possible on the present record, which was not developed with Akamai IV in mind, of whether the defendants' accused activities come within the ambit of the Akamai IV "conditions participation" standard or might otherwise justify finding direct infringement liability for divided infringement. We do not think it appropriate to rule out at this stage any particular theory of direct infringement, including the joint-enterprise theory and the possibility of other bases of attribution recognized inAkamai IV. Nor do we prescribe the course of proceedings required on remand beyond ruling that, given the early stage of this litigation, Mr. Mankes must at least have the chance to amend his complaints, if he believes such amendment might be useful or the district court determines it is necessary, based on this court's new articulation of divided infringement standards. With that exception, we leave it to the district court in the first instance to apply Akamai IV to the current complaints, or to newly amended complaints, under the standards that govern whether a complaint suffices to allow litigation to continue past the stage of the opening pleadings. We vacate the district court's judgments on the pleadings and remand. We review for abuse of discretion the district court's determination that attorney's fees were not warranted under § 285 because the case is not exceptional. Highmark Inc. v. Allcare Health Mgmt. Sys., Inc., 134 S. Ct. 1744 (2014). Section 285 permits a court, in an "exceptional" case, to "award reasonable attorney fees to the prevailing party." 35 U.S.C. § 285. Because we vacate and remand judgment on the pleadings and no other relief runs in Vivid Seats' favor, Vivid Seats is no longer the "prevailing party" under § 285. At this point, § 285 does not authorize the district court to award attorney's fees to Vivid Seats. In any event, independently of whether legal standards undergo further changes or whether Mr. Mankes eventually loses, we think it clear and worth ruling that the district court committed no error in rejecting an exceptional-case contention even under the law before Akamai IV. As the Supreme Court has explained, an "exceptional" case is "one that stands out from others with respect to the substantive strength of a party's litigating position (considering both the governing law and the facts of the case) or the unreasonable manner in which the case was litigated. "Octane Fitness, LLC v. ICON Health & Fitness, Inc., 134 S. Ct. 1749 (2014). Here, the district court could readily view Mr. Mankes as having reasonably, openly, and in good faith pressed arguments for plausibly result-altering changes in governing legal standards that were demonstrably under active judicial reconsideration in this court and the Supreme Court at the time. While Mr. Mankes's case was pending before the district court, the law on divided infringement remained uncertain, with both our court and the Supreme Court weighing in on possible changes, and Mr. Mankes's litigation conduct appropriately reflected that shifting legal landscape. Without addressing other situations, we conclude that the district court properly determined that this case, to date, has not been exceptional in a way that would justify an award of fees against Mr. Mankes.